Rivers flow downstream. In order to ensure clean, clear drinking water for everyone, we need to begin at the beginning - the headwaters. OWC spent years consulting with YOU - our community leaders and stakeholders from throughout the watershed - to carefully craft 8 Goals in total. Reducing threats to the headwaters is Goal 3 of our strategic plan (known as our IWMP or Integrated Watershed Management Plan). OWC's popular Engaging Recreationists program aims to engage backcountry users in restoring places where Albertans recreate, changing our behaviour to reduce impacts, and becoming better environmental stewards. OWC works with a variety of people and organizations, including motorized recreationists, random campers, anglers and boaters. We are helping people understand the cumulative effects of creating linear features (like roads, industry access routes or recreational trails) and the intensity of their use. These features are one of the major threats to our watershed's ability to rejuvenate and provide fresh water to communities downstream. 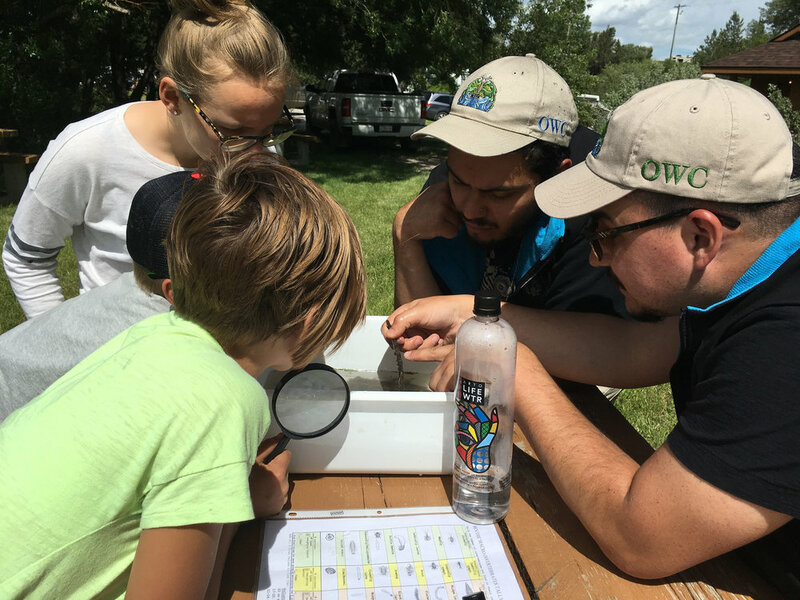 OWC puts an emphasis on sound science, stakeholder engagement, education, community-based social marketing, streambank restoration, and stewardship activities. Together with community partners, we are also encouraging motorized recreationists to keep wheels out of water, and the positive results are evident throughout the watershed. We are protecting our headwaters, water quality, and critical habitat for endangered species (such as westslope cutthroat trout). restoring damaged areas & changing behaviour to reduce impacts. The result? We are all becoming better environmental stewards.